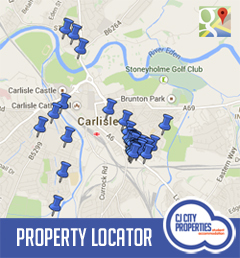 CJ CITY Properties Ltd is working with Ravenkirk Property Ltd to buy Student, Non-Student, HMOs and Family Homes in Carlisle. Are the new TAX RULES biting in to your returns? Is the INCREASED LEGISLATION taking its tole? Have you had enough of dealing with Tenants? Retiring and don’t want to be on call 24hrs a day? It is time to reduce your portfolio! Confidential – No boards or adverts on display. Convenient – No multiple viewings. Stress free – No buyers dropping out at the last minute. No loss of rent – If the property is let Ravenkirk can buy the property with the Tenants in residence so you won’t lose a day’s worth of rent while you own the property. No need to hire a skip – We can dispose of unwanted contents at our expense. Security of sale – We work with a wide range of lenders to secure reliable borrowing. Security for Tenants – Once the sale has gone through your property and Tenants will be handed over to CJ City Properties Ltd who, with over 25yrs experience in lettings will manage the property and Tenants in a friendly and professional manner. Quick – We move as quickly as we can. Arrange a no obligation viewing. Equity Release; Chain Breakdown; Falling Rents due to increased competition; Repossession Concerns; Money Problems; Unable to make mortgage payments and worried about future credit; Relocation and Moving; Retirement; Redundancy; Bereavement; Unemployment; Health Issues; Separation & Divorce; Emigration; Just Wanting to Free Up Cash; Slow market preventing sale through an estate agent; Unwanted Inherited Property; Run down & can’t afford the refurb. Ravenkirk Property Ltd is a privately owned, Carlisle based, property investment company which aims to continue investing in the Carlisle property market. It will hand over the day to day running of the properties to its sister company, CJ City Properties Ltd, which has over 25yrs experience in lettings.